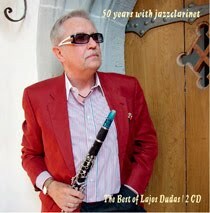 Hungarian clarinetist Lajos Dudas, who has called Germany home since the late 1960s, recalls the storied history of jazz clarinet in each of his many recordings. 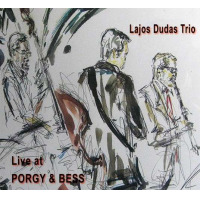 But, unlike several other jazz stars of note, Dudas never gets preachy or didactic. 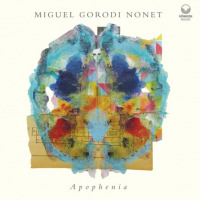 His music is more about the enjoyment of the form. 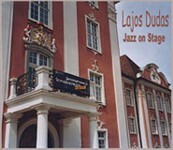 Jazz On Stage presents this fine clarinetist in three live performances recorded between May 2006 and May 2007. Here, Dudas is perfectly partnered with few other accompanists, but all of long and simpatico standing. First and foremost is guitarist Philipp van Endert, perhaps Europe's best kept secret, who is featured on all nine of this disc's tracks. 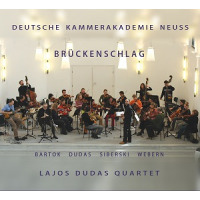 Percussionist Jochen Büttner joins in on two tracks and bassist Martin Gjakonovski and Kurt Billker (a Dudas partner since 1980) round out a quartet that was heard to beautiful effect on Jazz And The City (Konnex, 2004). The clarinet-guitar duo begins with "For Gabor," a Dudas original dedicated to guitarist Gabor Szabo and first heard on Sunshine State (Konnex, 1984). 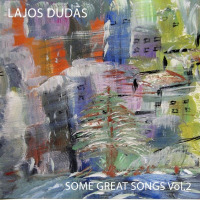 The song retains the mysterious mix of adventurous exoticism and melodic charm of fellow Hungarian Szabo's music but little of the guitarist's signature sound (Dudas hoped to include Szabo on a 1982 recording but the guitarist's death forced the clarinetist to replace him with Attila Zoller, another Hungarian expatriate). Van Endert in no way mimics Szabo, but uses Szabo's musical prowess as a means to set forth his own ideas, which are notably complimentary to those that Dudas expresses. 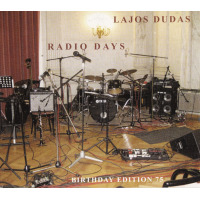 Dudas' "Maydance" and legendary Hungarian bassist Aladar Pege's "Toledo" originally appeared on the clarinetist's album Maydance (Pannon Jazz, 1995). As evidenced here, both remain worth revisiting. "Maydance" earns its title with a lilt that crosses American traditional with French provincial. "Toledo," another dance-like tone poem, extols Dudas' virtues in a Spanish mood. 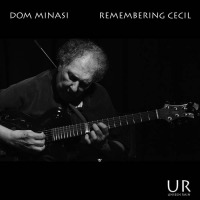 "Blues for Rose," a too-little known piece by Sonny Criss that's misattributed here to Sonny Stitt, finds Dudas and van Endert showing their natural ability to swing the blues. The Dudas original "Kukeri Dance," first heard on Detour (Konnex, 1980), introduces percussion and a slightly freer forum. Here, Dudas most recalls Tony Scott at the height of his Indian meditations and German van Endert approaches Hungarian Gabor Szabo with edges rounded by Attila Zoller's perfectly melodious experimentation. 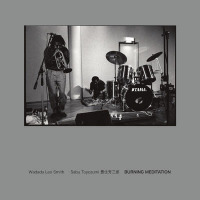 Surprisingly, the well-programmed disc picks up momentum when Dudas and van Endert are joined by their rhythm section. 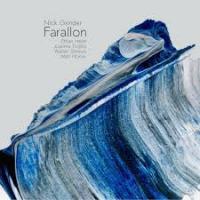 "Fountain," originally from Dudas' Detour (Konnex, 1980) and one of the disc's best tunes, explores areas Don Byron traversed with Bill Frisell. 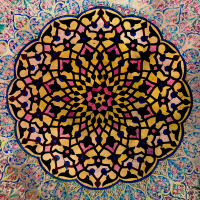 This, "Vehicle," and concert favorite "Walk in the City" have a rhythmic ingenuity and improvisatory complexity that make for entrancing and enduring listening. 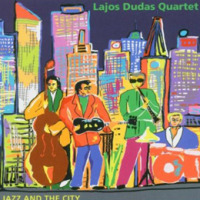 All is rounded out by the warm "Autumn Leaves," which cunningly suggests that Dudas thoroughly grasps Jimmy Giuffre's genius for the lovely and the abstract. 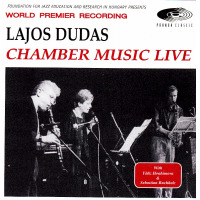 While Jazz On Stage is an ideal reflection on the music of Lajos Dudas, it also serves as a tremendous introduction to a jazz clarinetist who is nowhere near as well known as he ought to be. 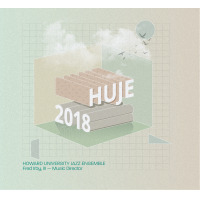 Personnel: Lajos Dudas: clarinet; Philipp van Endert: guitar; Jochen Bittner: percussion (4, 5); Martin Gjakonovski: bass (6-9); Kurt Billker: drums (6-9).